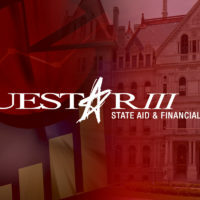 Questar III’s Home Instruction Services is designed to support school districts and district residents who choose to instruct their children at home, in meeting the New York State Education Commissioners regulations for Home Instruction Part 100.10. Questar III works with several districts in supporting students who are being schooled at home, accepting Letters of Intent, reviewing Individualized Home Instruction Plans (IHIP’s), Quarterly Reports and Annual Assessments as well as serving as a liaison between the District and homeschooling parents. This will ensure timely processing of your documentation. Ideally, you should consider reading all of the documents to the right prior to submitting a Letter of Intent. At minimum, you will want to read the Part 100.10 regulations and the Home Instruction IHIP form. Students who have an Individualized Education Plan (IEP) written by the Committee on Special Education, should send a copy to Questar Home Instruction Services for the files.